Before going forward into 2009, I want to take a few minutes to reset the blog so I will remember where the blog finished in 2008. Total views for 2008 came in at 10,643. Not bad considering I started the blog in February and got less than 10 hits a day for the first 3 months. For any new bloggers reading this, here are some tips: visit other blogs, leave comments, add links to your email and forum signatures, build a network using a blogroll and, as Michaela of The Daily Click reminded me, make sure your blog is visible to Search Engines. You’ll see your blog’s popularity grow as a result. I posted 70 entries and received over 350 comments from visitors. Over the 2008 Memorial Day weekend, I wanted and got both a sunrise and sunset. For the sunset photo, a young couple was posing for their parent’s camera and made a lovely silhouetted foreground subject for the sunset part of the view. This entry garnered 150 views. 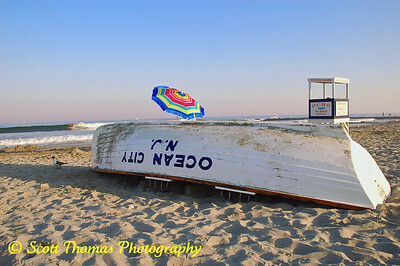 Last summer, I vacationed with my family on the south New Jersey shore. While we stayed in Atlantic City, I much preferred the atmosphere of the Ocean City beach and boardwalk. 155 hits makes this the 4th popular view in 2008. This was a surprising one for me at first. Then I realized many people were looking for information to be a vendor at the Regional Market or find directions to get there. 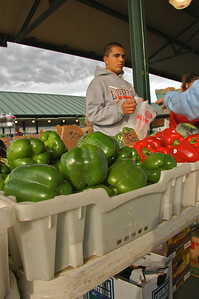 For some reason, the CNY Regional Market does not have it’s own website. This blog entry made the first page of many a Google search and contributed 190 hits to the blog’s 2008 total. 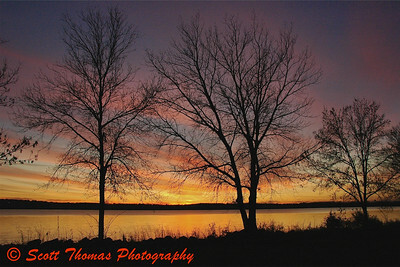 This early November sunset over Onondaga Lake near Syracuse, New York got 208 hits. Over 100 hits occurred within a couple of days of me linking this entry in a comment to an article on the popular This Week In Photography (TWIP) blog (see link in the right sidebar). 1. View 34: Why do Birds stand on one Leg? Rarely a day goes by when I don’t see a hit to this entry featuring a Snowy Egret standing on one leg. 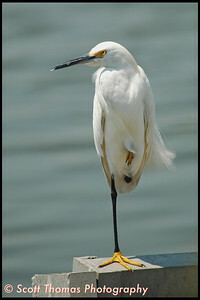 In the article I found a couple of reasons why many birds stand on one leg. Little did I know that 313 other people would be just as interested in which is impressive as the post appeared on August 18, 2008. Making this Snowy Egret the most viewed photo on my blog last year. I’ll be back on Monday with the first View for 2009. Have a great weekend! 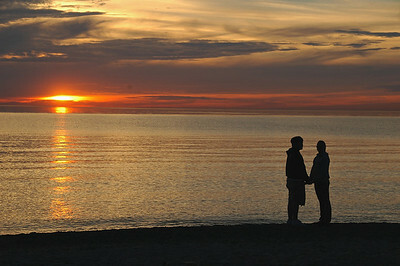 This entry was posted in News and tagged 2008, beach, birds, blog, market, Photography, statistics, sunset, trees. Bookmark the permalink. I totally agree on the tips. Another one is to set the blog to be included in search engines. Thank you so much for you comment on my blog. Your well wishes are greatly appreciated. I have been looking through some of your blog. I like it a lot. I’m looking forward to following it this year. I promise I will be posting more this year. I’ll add that tip to this entry as that is a good one that people may not be aware of. Thanks, DC! You’re most welcome, Lo 8D. Have a great time with your 365 day project. Found your awesome photography off Scott Wong’s flickr site – quite something! My late husband was an ardent amateur photographer who taught me a lot. He would have loved this site. He could make the most mundane subjects appear in a totally different light. Looking forward to more great shots.